Sick of trying to fill up your cartridges with old syringes and alike? This handy pack comes with 4 empty syringes! 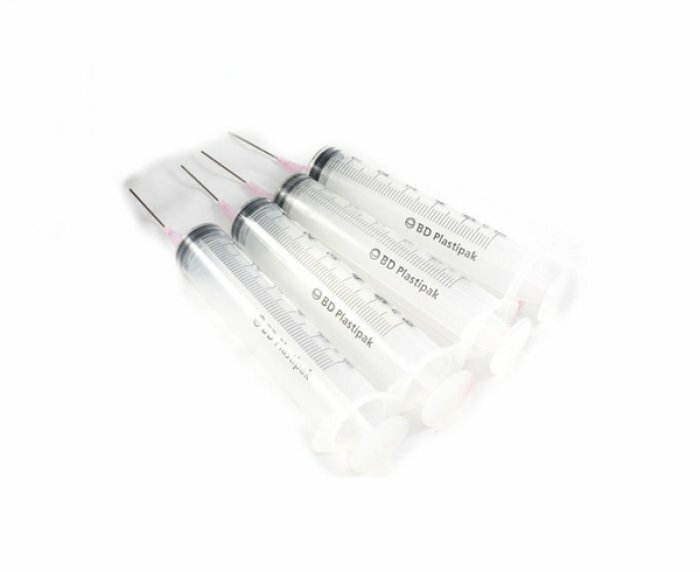 Set includes 4 x syringes as shown. Each syringe takes 10ml and has a draw up needle that is 38mm which is really helpful when drawing up from refill bottles. Then easily filling your cartridges by removing the silicone stopper. Then replace the silicone stopper and your cartridge is ready to use again.